Until the 1400s AD, the Pacific coast of South America was made up of a lot of small independent kingdoms: first the Valdivia and Norte Chico people, then the Moche, the Chavin and the Mapuche. These kingdoms often raided each other, but then they went home again and made peace. This was like the city-states of ancient Greece, or the Etruscan period in Italy. Then one of those kingdoms, the Inca, began to take over the others and keep control of them, instead of just raiding them (like Philip of Macedon, or like the Romans). Gradually the Inca put together an empire. The Inca did not call themselves the Inca; they actually called themselves the Tawantin Suyu, which means The Four United Regions (like the United States). The capital was Cuzco (in modern Peru). The Inca are the people that are in the movie, The Emperor’s New Groove (the one about the emperor who gets turned into a llama). 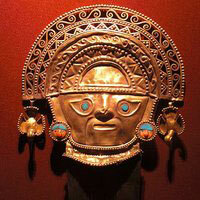 Most people in the Inca empire were farmers. They grew potatoes and peanuts, tomatoes and avocados and peppers, cotton for clothing, and coca leaves for medicine. Many other people spent their time fishing from boats. Some people made pottery, built big stone palaces and temples, collected taxes, and built roads paved with stone. Cite this page: Carr, K.E. 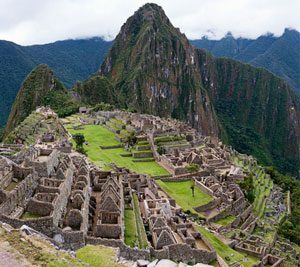 Who were the Inca? South American history. Quatr.us Study Guides, September 9, 2017. Web. April 24, 2019.